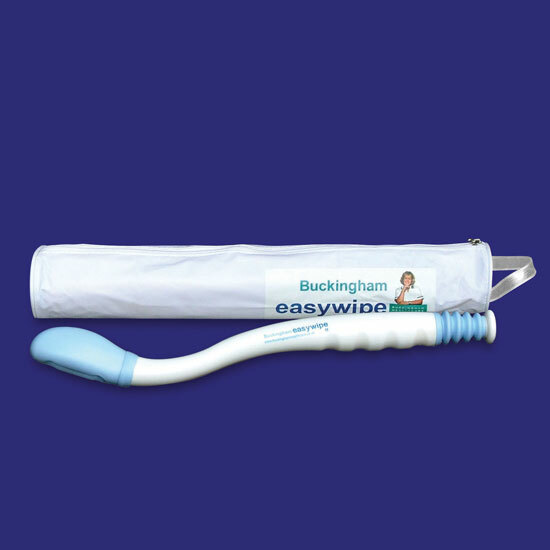 The Buckingham Easywipe has been specially designed by cccupational therapist Chris Clarke. This totally new and innovative design overcomes the drawbacks of existing devices and ensures personal hygiene for those who find reaching difficult. The Easywipe has a research-led ergonomic shape, helping those with limited dexterity. The rounded soft and smooth design has a simple, uncomplicated mechanism, which grips the toilet tissue firmly and releases it cleanly without the need to touch the tissue after wiping. It is suitable for use with either toilet tissue or wet wipes. The smooth design is easy to use and keep clean. This bottom wiper is supplied with a carry case. It is latex free. Supplied with its own opaque carry case.